All the approaching milestones for the players ahead of the India-Australia ODI series. India and Australia will be facing off for the 2nd time in the space of two months for an ODI series, this time in a 5-match series in India. This series will be a crucial one for players of both the teams with the ODI World Cup coming up later this year. Both India and Australia will look to fill the gaps in their line-up for the major tournament and are expected to take chances by keeping it in mind. 100 – Pat Cummins and Adam Zampa need four and five wickets respectively to complete 100 wickets in List A cricket. 349 – Number of sixes Rohit Sharma has hit in his International career so far. If Rohit hits one more six, will be the 2nd Indian after MS Dhoni to hit 350 International sixes. He will also be the first player to achieve this feat for India as Dhoni has only 344 sixes while playing for India in Internationals. 943 – Marcus Stoinis needs 57 more runs to complete 1000 runs in International cricket. He also needs 66 more for completing 2000 List A runs having scored 1934 thus far. Stoinis is two wickets away from 50 wickets in List A cricket. 984 – Virat Kohli needs 16 more fours to become the 12th player to hit 1000 boundary fours in ODI cricket. 1000 – Alex Carey (963) and Rishabh Pant (959) inch closer to complete 1000 runs in List A cricket. Pant also needs 30 runs for 1000 runs in International cricket. Glenn Maxwell (3991) also needs nine more runs for completing 4000 List A runs. 1990 – Ravindra Jadeja needs ten more runs to complete 2000 runs in ODI cricket. He will be only the 3rd Indian and the 25th player overall in ODI cricket to score 2000+ runs and bag 150+ wickets. Jadeja also needed six more wickets for becoming the 7th Indian to bag 400 wickets in International cricket. 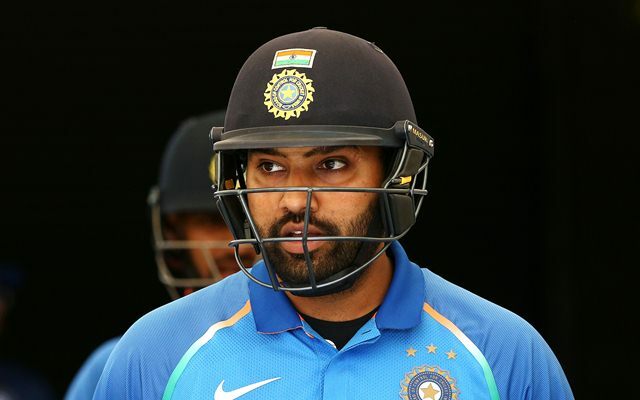 7808 – Rohit needs 192 more runs for completing 8000 runs in ODI cricket. The vice-captain of Indian limited-overs teams will be the 3rd fastest to the milestone if he scores those 192 runs in the next four ODI innings. 9992 – Comeback man KL Rahul needs eight more runs for completing 10000 runs across all formats in his professional career. 11975 – Runs Virat Kohli has 11975 runs in his List A cricket. He will be the quickest to reach 12000 List A when he scores those 25 in this ODI series. Keeper-Batsman MS Dhoni needs five more runs for 13000 List A runs. 9866 – Indian opener Shikhar Dhawan needs 134 more runs for 10000 runs in List A cricket. Dhawan will be the 11th Indian and the 2nd fastest after Virat Kohli to this milestone. 21955 – Shaun Marsh needs 55 more runs to complete 22000 runs in professional cricket while his captain Aaron Finch (18889) needs 111 more runs for reaching 19000 professional runs.